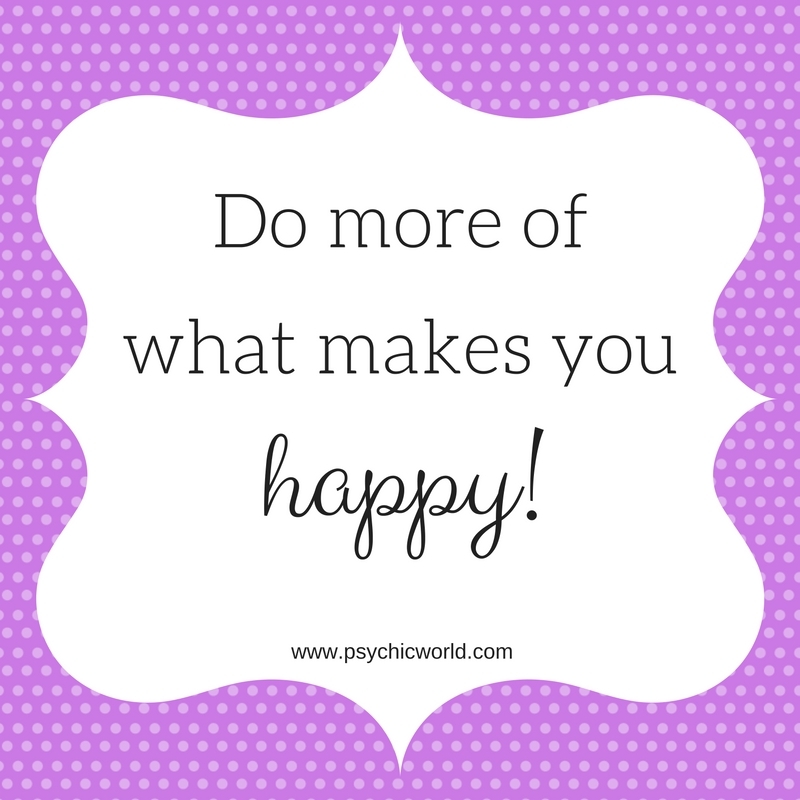 Would you like to know how to bring more happiness into your life? It's easy to get wrapped up in doing things that don't make you happy... but changing the quality of your life can be simple. "The essential religion is taking the whole responsibility for whatsoever you are. And immediately an insight arises: If I am responsible for my suffering, then it is simple, I can drop it. It is my choice. I will not choose it any more." Do you want to live a happier life? Make the time to do the things you love! How much time do you spend doing things to make yourself happy? 80% of your time? 50%? 10%? None? In order to create a happier life, you need to make time to do the things that make you happy. It's as simple as that. Say NO. It's OK to say no to people who request that you do things that you don't have the time, energy, or motivation to do. You don't always have to say yes to other people. Get up a bit earlier. If you'd like to add meditation or prayer to your day, or if you love to take a walk in nature while it is quiet and still outside, set your alarm clock for a half an hour earlier. You will have that morning time all to yourself. Well, hopefully - unless the kids wake up! Go to bed earlier! I know this might take some of your valuable time to do things, but you'll likely be in a much better mood and also in better health if you get enough sleep. A better mood means that even chores might hold some joy for you. Speaking of chores, offload some of them. Don't forget that your family can help around the house (and kids generally love to get some real responsibility). Let them cook, clean up, rake leaves, put their own clothes in the laundry basket, etc. Ask your spouse to help around the house, too. Be firm about your happiness time. Treat your time for yourself as you would any appointment with an important person - one that you wouldn't trade for anything. Taking time to do things that make you happy can have such a positive impact on the quality of your life, so you shouldn't give up the time you make for you. Be honest about what you love doing. Does your spouse love hockey and you just... don't? Well, let him go watch a game while you peruse an art museum or spend time catching up with your girlfriends. That makes everyone happy! Would you like to explore how to create more happiness in your life? Talk to one of our life coaches, like Susan Ellis-Saller, Summer Skye, or Intuitive Oracle.